President Trump isn't going to like this. The report, which provoked a spike in oil prices, suggests that "Riyadh is determined to regain control of the oil market as prices remain well below the level that many OPEC members need to cover their government spending." However, the extension isn't all that surprising: Responding to Trump, who demanded in a tweet that OPEC do something to curb rising oil prices, Saudi Energy Minister Khalid Al-Falih said last month that "we are taking it easy, 25 countries are taking a very slow and measured approach." Aramco, Saudi's state-owned oil producer, has given customers their allocations for the next month, and they're some 635,000 barrels short of what refiners had asked for. 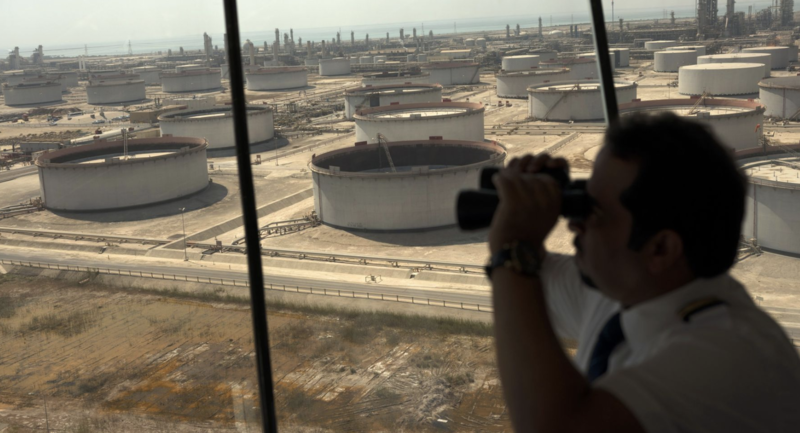 With Venezuela output falling further due to U.S. sanctions and power blackouts, oil refiners put in requests - or nominations in industry jargon - for Saudi crude of more than 7.6 million barrels a day for April, the person said. However, the kingdom will supply overseas customers with less than 7 million barrels a day, 635,000 barrels less than refiners asked for however, they said. Saudi Aramco, the state-owned oil monopoly, decided its monthly nominations over the weekend and told clients early on Monday their individual allocations. Although not identical, Saudi crude can be used as an alternative to Venezuelan crude and is also a good alternative for Iranian oil, also in short supply due to U.S. sanctions.